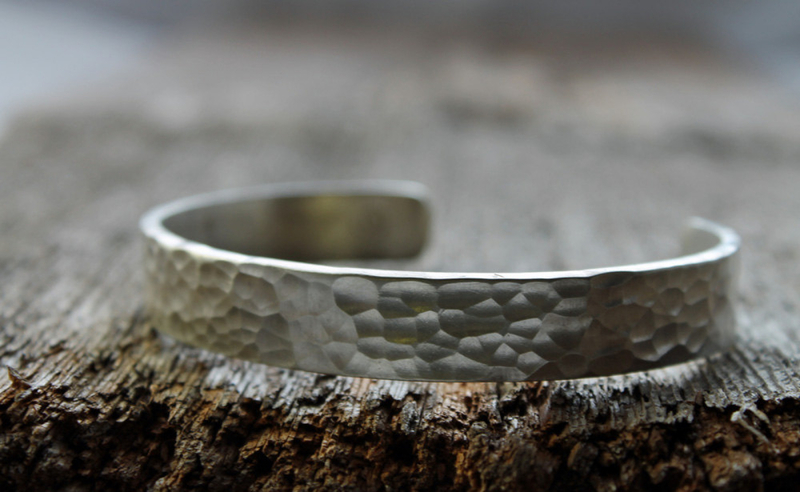 Made to order in up to 3 weeks. 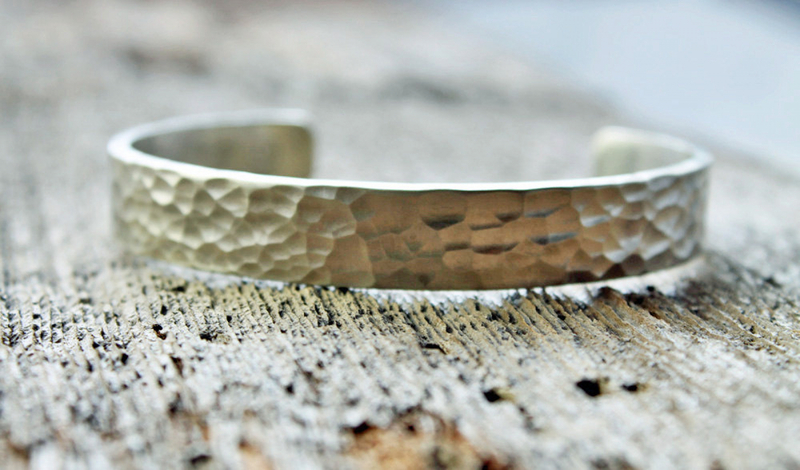 A sublime hammered sterling silver bracelet cuff lovingly forged in the heart of the Spiral River. 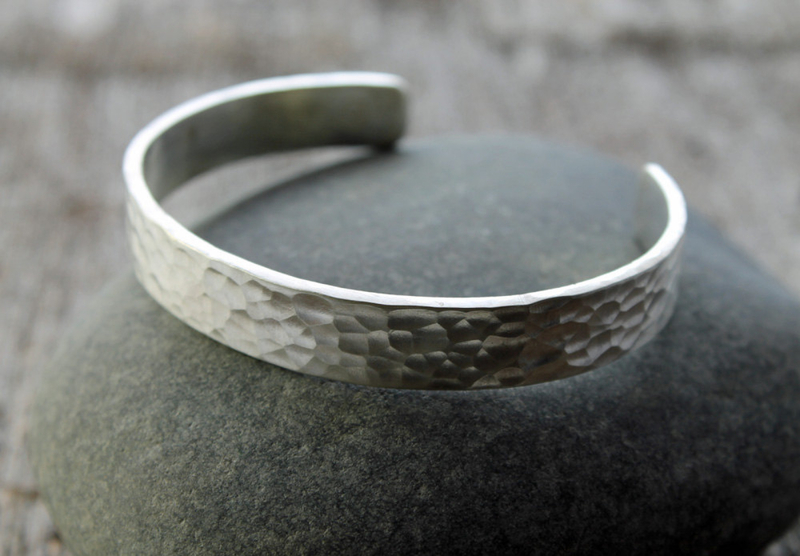 It is created with 10mm wide x 2mm thick x 6" long solid sterling silver and has a little spiral stamp on the inside. 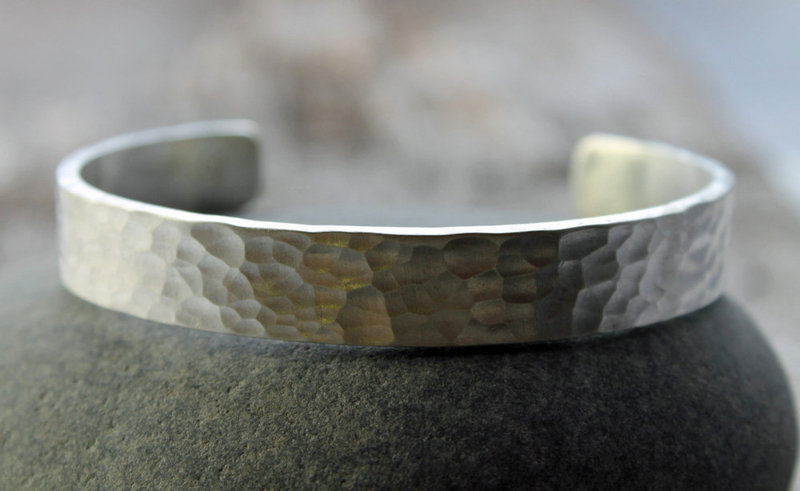 It will fit a 7" circumference wrist and will look great on men and women. 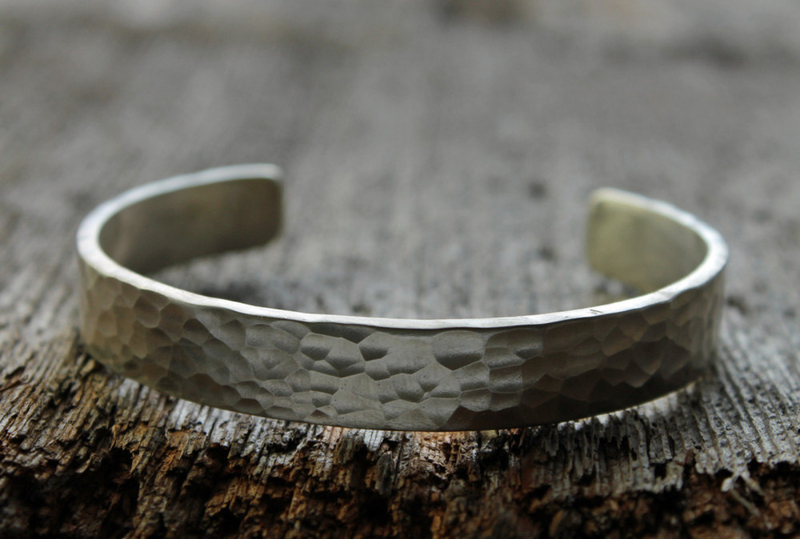 You can choose to have your cuff finished with a high shine or brushed texture. Please just add a note about your preference when you check out.